There's no job too tough for the Cement Truck. With the revolving drum, you can easily mix the cement. When it's ready to be poured, just position the spout and tilt back the canister from the truck to lay a nice even layer of cement. 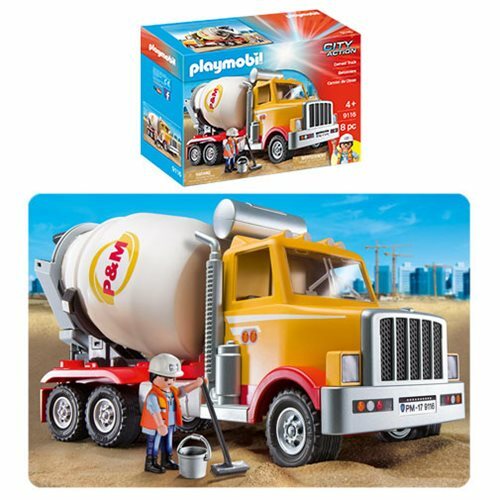 Set includes one figure, truck, hardhat, brush, and other accessories. Recommended for ages four and up.Warning. Choking hazard. Small parts. Not for children under 3 years.